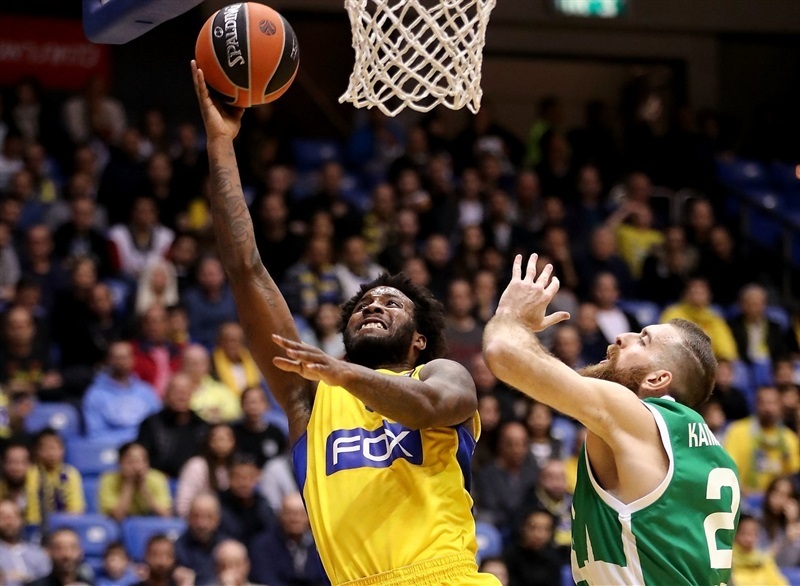 Maccabi FOX Tel Aviv restored some pride with a battling and much-needed 60-52 victory over Unics Kazan at Menora Mivtachim Arena, improving to 7-13 in the standings as the Russian team suffered its third consecutive defeat and dropped to 7-13. 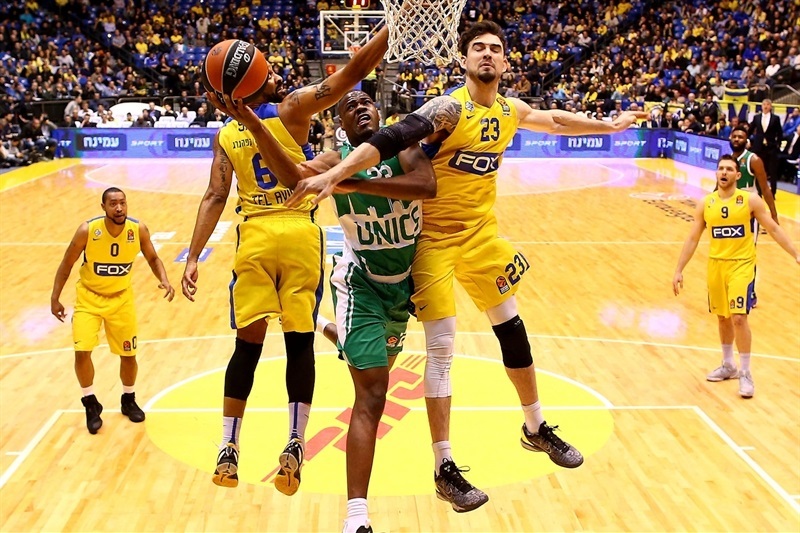 Defenses were well on top all night as both teams desperately struggled to find any offensive rhythm, illustrated by Unics making just 6 assists and league-leading scorer Keith Langford converting only 4 of 21 field goal attempts. 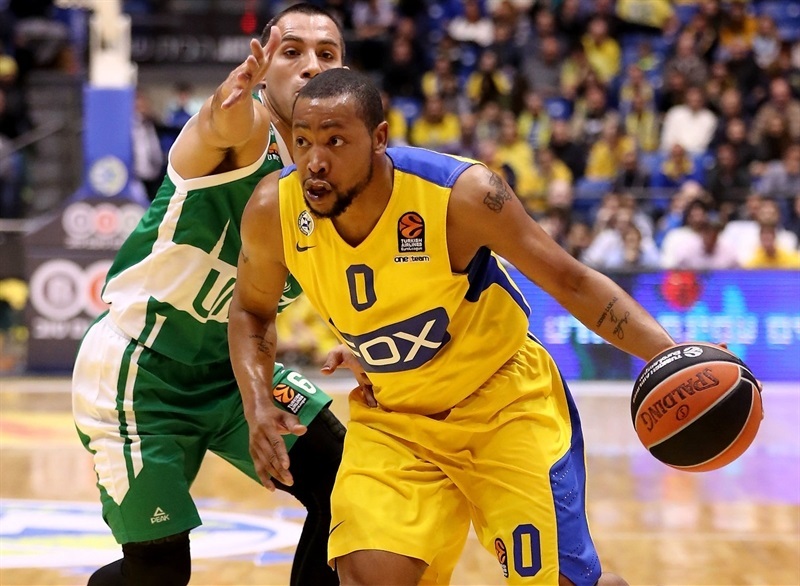 A late burst from Andrew Goudelock, who finished with 17 points, was enough to secure the victory for Maccabi, which also had 10 points from Yogev Ohayon, while Victor Rudd typified his team’s determined attitude by hauling in 8 rebounds. 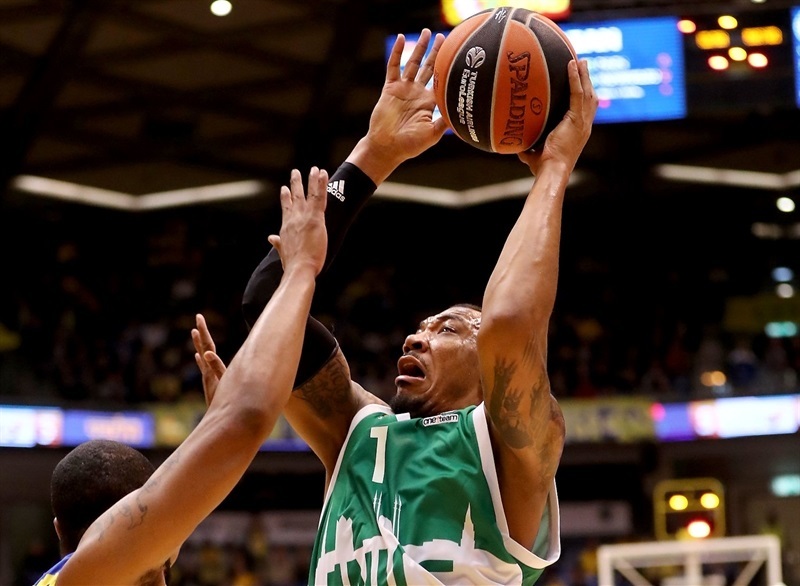 Orlando Johnson led Unics with 13 points, and Langford added 12. 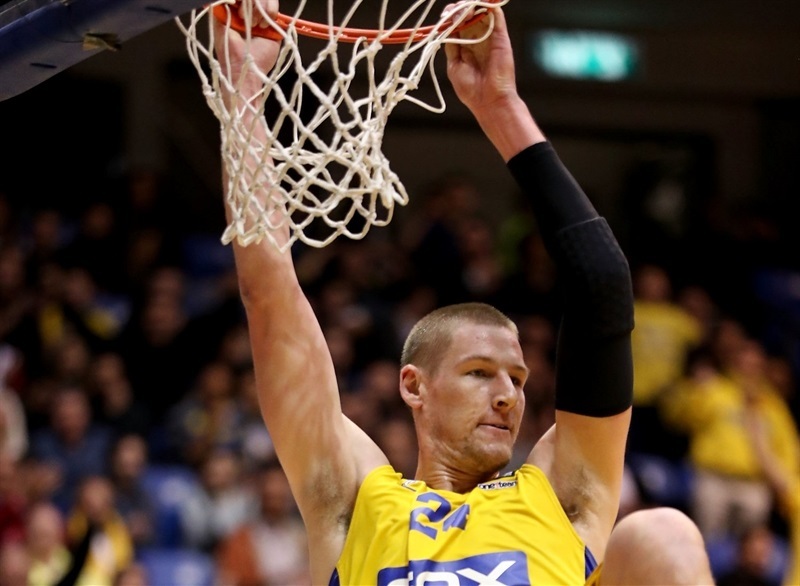 Langford started well enough, opening the scoring with his team’s first possession, but Maccabi soon rallied as Devin Smith netted 7 points in a 16-2 run. 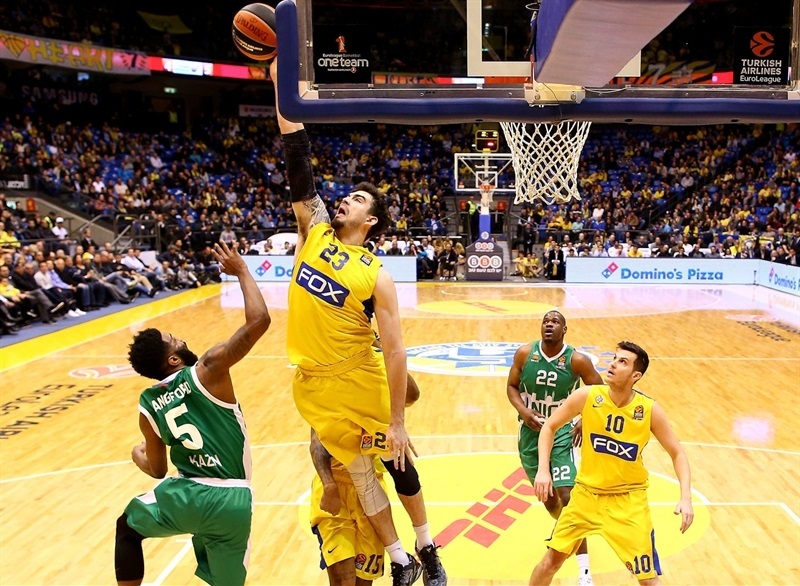 The home team’s defense then took over, restricting Unics to just 2 points in six minutes. 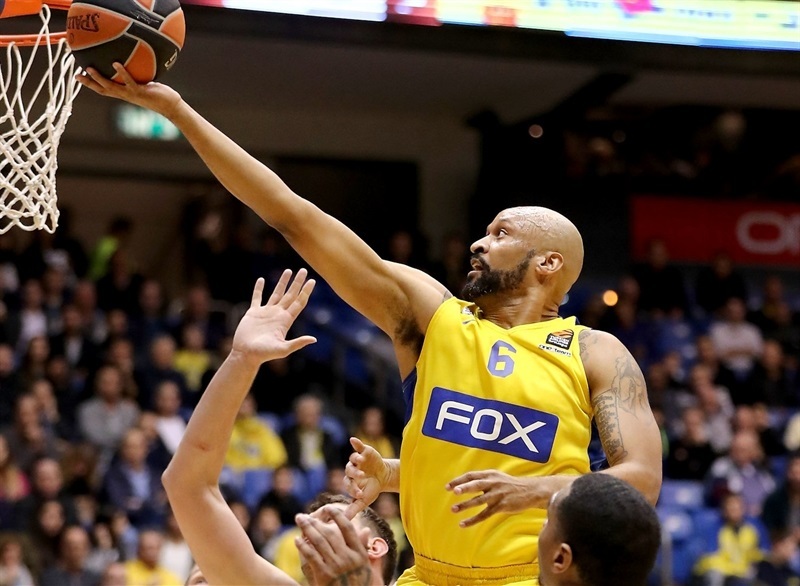 The visitors kept it close with a 0-6 run to bridge the first and second quarters, and a pair of triples from Orlando Johnson made it a two-point game, but Ohayon’s three-pointer helped Maccabi into a 33-24 half-time lead. 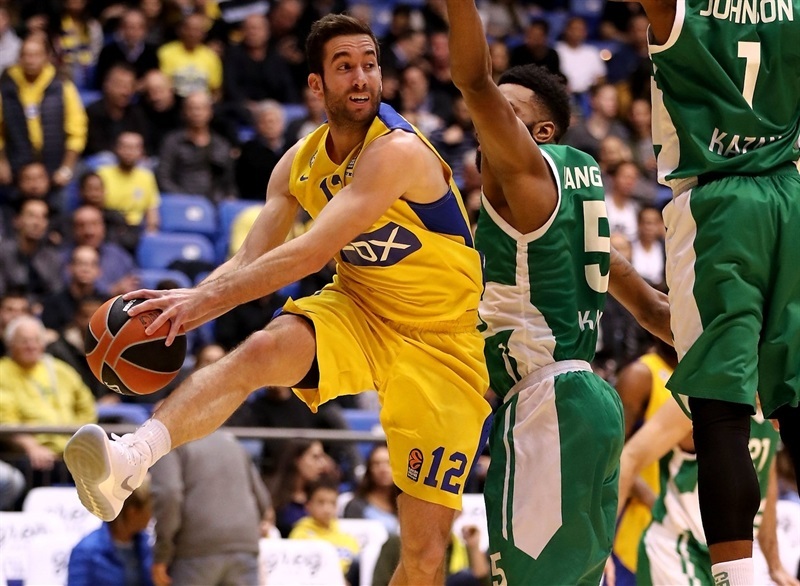 Unics started the third quarter strongly, with Maccabi failing to score a field goal for nearly five minutes, but another downtown strike from Ohayon gave the host a double-digit lead. 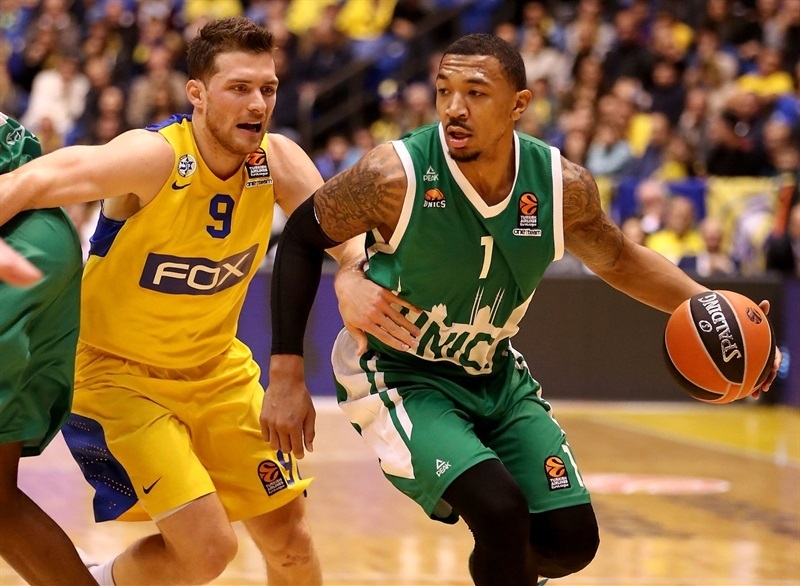 Unics kept battling and pulled the margin back to 3 early in the fourth quarter, but a layup with a foul sparked Goudelock to life as he scored 11 points in the final seven minutes to keep Unics at bay and secure the win. "After the knockout two days ago in Istanbul, we needed to stand up. We did it with energy. It was a tough game against an experienced team. I was happy because we got the turnovers down under our average. 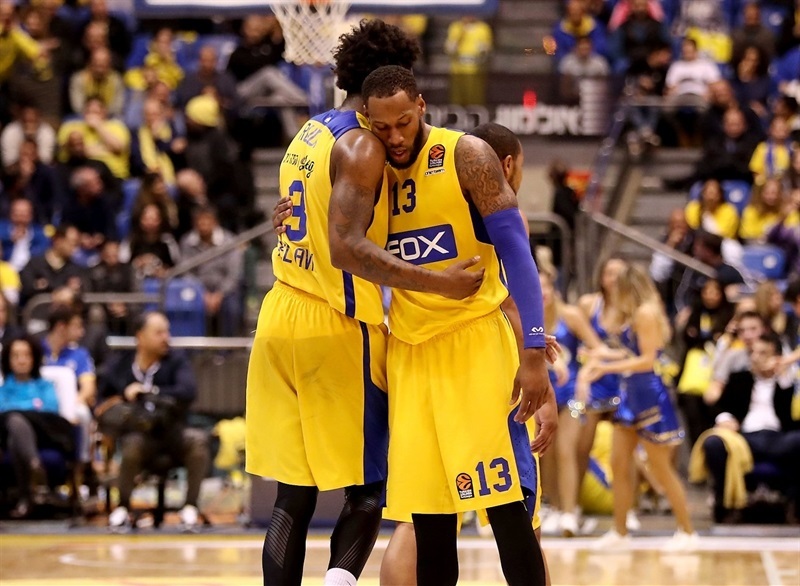 Sonny Weems, Yogev Ohayon and Gal Mekel did a good job defending Langford. This was a team win, this will make us stronger as a team." "The game was a grind. 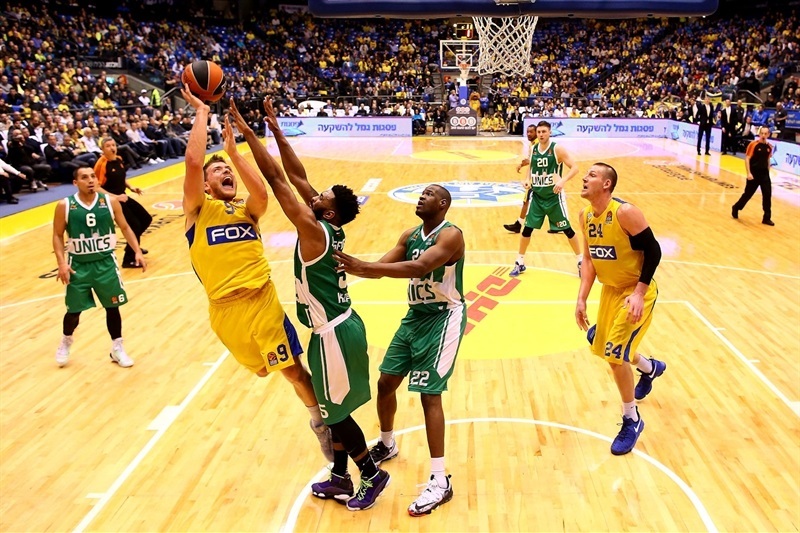 Our second EuroLeague game this week. We defended well, rebounded and stayed committed to our game plan. We set the tone. Energy wise, effort wise, everybody came out aggressive. I just told everybody this should be our focus." 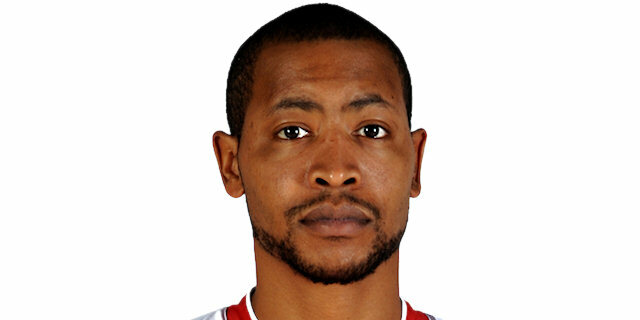 "Super important win. It’s been a rough couple of months and we just needed some confidence, we needed the win for morale and to calm down because it’s been tough. We executed today and it feels good. It was an ugly game, I’m pretty sure people watching it were not happy, but sometimes it’s like that. We wanted to stop Langford and they’ve got a lot of big guys who can shoot the ball. 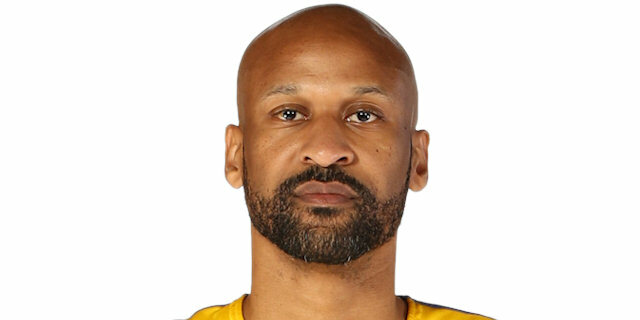 We were really focussed – offense, defense, whatever it takes to get the win."